Teen Titans Go! features valuable life lessons and a large range of niche humor, but lacks the original’s complex structure necessary to effectively convey these themes. Teen Titans is an animation overflowing with relatable real world subjects from past, present, and even future civilizations. These subjects suit a wide variety of audiences regardless of age, gender, creed, or values. These relatable topics range from relationships, politics, and culture, to the environment, philosophy, and psychology. Teen Titans Go! essentially covers the same subjects, but lacks the mental and emotional depth to fully grasp all of their intricacies. The show comes across as a simplistic map where characters start from point A and need to get to point C. The show explains in the simplest terms possible that in order to get to point C from point A, you have to first go through point B. The problem is that this creates a false impression and false permanence of reality by basically painting the world as black and white. Furthermore, whenever the cast encounters a realistic challenge, nonsensical explanations devoid of reason, logic, or wisdom block any opportunity for critical thinking. A prime example of this can be seen in the Teen Titans Go! episode “Nature” where Beast Boy seeks the help of Mother Nature to fully restore his abilities. As Beast Boy wanders through the forest in search for Mother Nature, he witnesses the cruelties of wildlife and is shocked to find that she allows these cruelties to take place. Mother Nature claims that she lives by the code of “survival of the fittest.” Beast Boy doesn’t accept this understanding and introduces her to the concept of civilization. However, this introduction is extremely shallow and lacks realism. Mother Nature, being convinced by Beast Boy, proceeds to turn the entire forest into a modern day city. The effects of suddenly removing a forest from the Earth is not considered in their decision. Furthermore, how easy it was to suddenly develop skyscrapers, businesses, and other city dynamics is hard to believe, lacking any form of order. This unrealistic process that Mother Nature takes in creating the city is very different from the realistic process she allows in nature. In nature, her system is clearly seen where animals have to kill and eat each other to survive; this process that was presented is understandable and logical. However, the city she creates has no process of reason, no government, no law, no organization; animals seem to be happy without reason. Taco stands suddenly appear without any consideration of resources, and buildings appear without cost. The audience can follow and understand the survival of wildlife, but is left to just accept the understanding of a utopian city without logic. Teen Titans, on the other hand, explains that the world is not black and white, but full of grey. It shows there are dotted lines in-between points A, B, and C, and elaborates on the details necessary to achieve these goals. Furthermore, the path between points ebbs with the unpredictable nature of life itself, challenging characters to adapt and figure out solutions. Various paths occur with alternatives such as point A leading to either point A1 or A2. Characters think critically according to their morals, logic, time, and many other realistic factors. In the episode “Forces of Nature,” the Teen Titans elaborate on the process of what may be considered good fun versus bad fun. Beast Boy explains to the character Thunder that he and his brother, Lightning, are hurting people and the environment with their definition of fun. Beast Boy takes it a step further to help their understanding of what right and wrong is. This episode also shows the realistic consequences of certain actions such as the fire spreading and needing fuel to burn, or powerful vibrations from Thunder causing destruction on a crowded bridge. The "cause and effects" are actually portrayed realistically, which is common in other Teen Titans episodes as well. Teen Titans and Teen Titans Go! operate on different levels of intelligence and learning. Teen Titans Go! asks viewers to memorize subjects and repeat verbatim for an exam. It denies any rational explanations toward deeper understanding by not explaining decisions or behaviors. Every conclusion is based on blind trust without question. 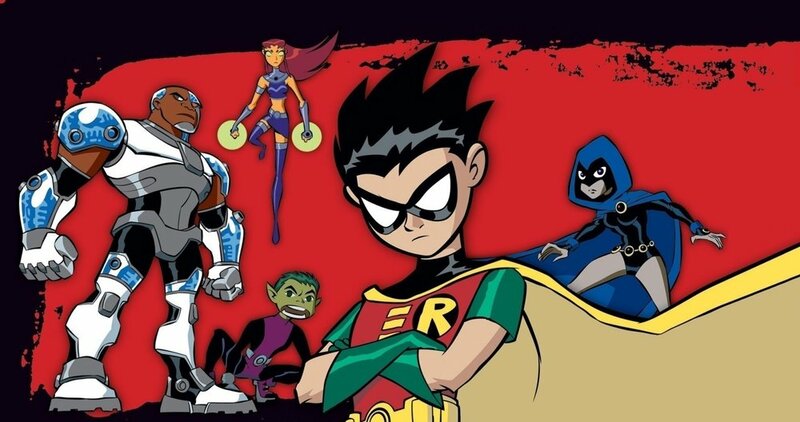 Teen Titans gives viewers the experience through visual, logical, verbal, physical, and aural elements. Subjects didn’t stand alone. They were interwoven with each other and ebbed through social and solitary spectrums. These themes had to be analyzed based on the current challenge in order to achieve the best outcome. Challenges fostered critical thinking and, unlike Teen Titans Go!, could not be conquered through repetition. No two challenges were the same, similar to the real world. Teen Titans Go! was ironically crafted to slow, dampen, and ultimately stop the growth of critical thinking. This in turn creates a generation of viewers that would simply follow other’s thoughts, beliefs, or commands without asking why. Teen Titans always pushed the boundary for explanation, exploration, and critical thought about the best outcome given specific circumstances. Teen Titans Go! is indeed a tool created to eliminate an era of critical thinking.